Temptress left Royal Cork’s diesel pontoon at 09:40 on Saturday 31 August with Susie at the helm. A little down the channel and a Cork 1720 kept sailing across our path, the skipper became nervous, not so much of us mowing them down but more that we may run aground out of the channel. Temptress was put in full reverse and came to a stop feet from their stern. The 1720 took its chance and shouted a request for a tow to their regatta start out in the bay beyond the harbour entrance. We responded that we were heading for Spain and typically Irish they said that would do! The next half an hour or so was spent musing on how we’d feed six extra crew for the crossing and the practicalities of towing a small racing boat 600 nautical miles across Biscay, on balance we decided it wasn’t going to work so released the tow line once they sufficient wind to fill their sails. From where we were it was 190 degrees to our next waypoint 540 odd miles away at the southern end of the shipping lanes off Finisterre. 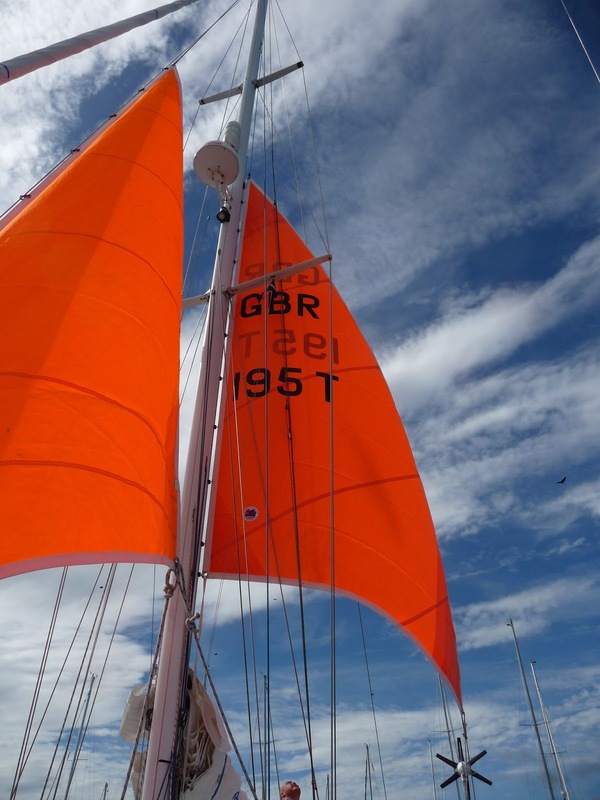 By 10:20 there was enough wind for us to hoist the main and Temptress large blue and white spinnaker, finally we were sailing downwind and heading south in the sunshine and a sparkling sea. At mid-day any acceleration caused by the hills and cliffs behind us was lost and Temptress resumed motoring though we knew we couldn’t motor all the way. Lunch was tasty chicken curry pies from the deli counter in Crosshaven’s Centra supermarket, highly recommended. And shortly after the genoa was unfurled and Temptress was sailing once more, setting the pattern for the entire passage. With the help of the bird book we identified British Shearwaters, lots of them swooping on wing tips along the face of the waves. The Bay Restaurant served up poached chicken for supper around 8pm. 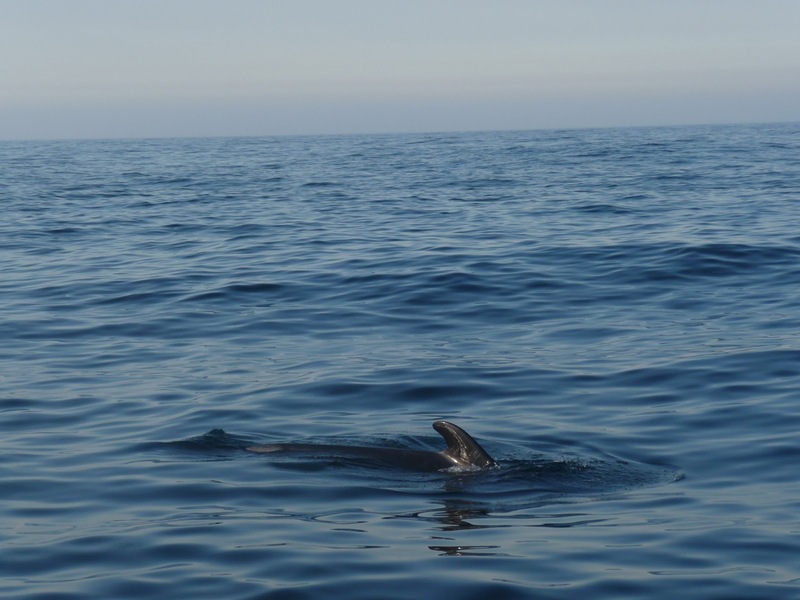 We’d had an afternoon of dolphin spotting, so many we’d sailed almost continuously in their presence. They swim back and forth under Temptress bow, jump through the wash alongside the cockpit and generally enthral all three of us. Poached chicken is not we learnt a dish to serve up at sea, it’s easy to make in the thermal cooker simply place the chicken in stock add the veg and herbs, bring to the boil for 15 minutes then place in the thermal pot for three or four hours. But it was impossible to retrieve from the pot then carve without a mess as Temptress rocked and rolled her way south over the big Atlantic swell coming in from the north west. Still Joe and ourselves thoroughly enjoyed the tender moist chicken with green beans, carrots and potatoes. Watches started at 21:00 with a two on, four off pattern. Dolphins continued to join us from time to time all night, trails of phosphorescence marking their swoops and dives through the water. The wind which had topped about F4 in the later afternoon was gradually moving round to the North East and decreasing through the evening so that by half eleven the engine was on again with 439 nm to go to the waypoint and just over 100 nm run. With scarcely any cloud and no moon until almost dawn the stars were amazing. Unless you have been at sea or deep in the desert you rarely get a chance to see the Milky Way like this even readily identifiable constellations seem to be painted on a backdrop of stars. 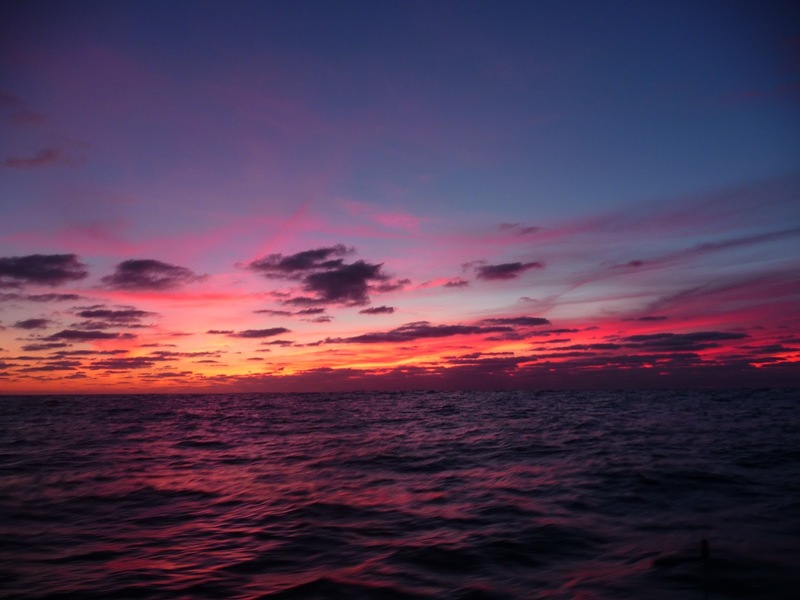 Day two was mostly motoring in a glassy sea sloppy sea which made for a spectacular purple dawn to match the amazing red sunset we had witnessed the night before. Chicken and vegetable soup was the lunch special at the Bay Restaurant and much enjoyed by all with some soda bread. In the early afternoon the wind finally decided to return with a faint F3 from the North East. We tried sailing but soon gave up then ninety minutes later gave it another shot with just the genoa and bingo our luck was in, Temptress sails faster than she can motor and we were back to our planned passage speed of 6.5 knots and more. A note of explanation about the Bay Restaurant – you can locate it in one of two ways; either sail down190 degrees from Cork Harbour or alternatively follow the trail of veggie peelings from the same location. It is open for breakfast, lunch and supper serving good hearty crew meals. The three chefs are all well practised in the gentle art of juggling pots and pans on a swaying cooker as the boat bounces off the wave tops and can behave like an octopus when it comes to serving up into several bowls sliding across the worktop. Sunday nights special was fish pie made with a huge piece of smoked hake purchased from Dunns fish counter in Carrickaline, it was topped with mashed potatoes and cheese. Shortly after supper we passed another milestone, 200 nm so far. All three of us had become obsessed with statistics – how far to go, how far have we sailed, at our current speed how long to go etc etc. During the night the wind picked up a bit and the wave train started to alter in response the stronger winds to our left in Biscay so it became lumpy as this west going lot met the South east heading Atlantic swell. 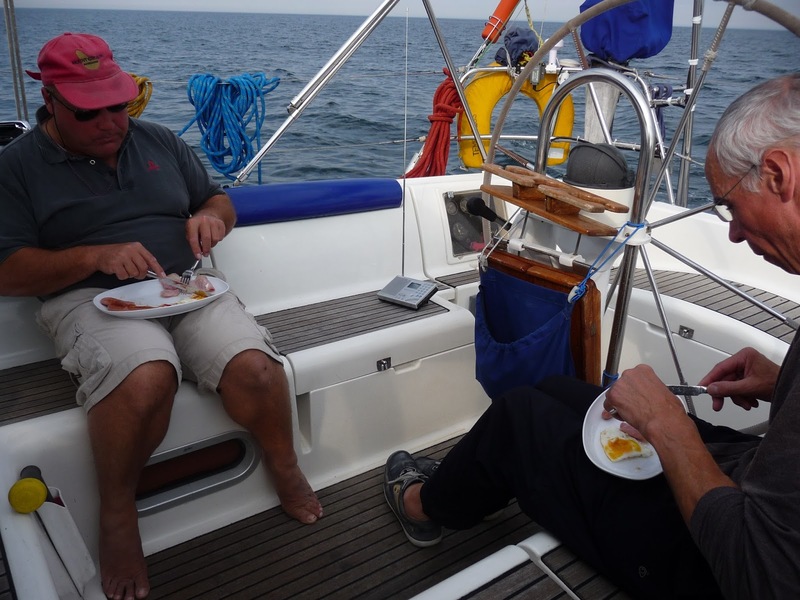 Day three Monday dawned sunny and bright and late morning we heard our first Spanish broadcast on the VHF radio but couldn’t pick up the actual forecast they were announcing, we were 300 miles down the track with around 300 to go to Baiona. Around lunchtime the barometer started falling, we were moving out below the centre of the high pressure as it tracked more north and Temptress sailed south. We ran the water maker but the tanks could only take about one and a half hours worth of water, a scruffy bunch we’d not showered since leaving Cork! And it was now too rolly a ride to contemplate doing so. Supper was a beef stew pressure cooked by Kevin who bravely volunteered to attempt to fight with rolling veg and sliding pots and pans for an hour or so. In the wee small hours of day four Temptress trundled through the 400 nm milestone, only making just over five knots in the big seas – now it was definitely downhill to Spain. The waves were splashing up against the port quarter or beam and catching the unwary in the cockpit whilst yet more was rolling down the decks on both sides from the bow. We were approaching the lines of ships at a fairly oblique angle, hundreds of tankers and cargo ships heading up or down a line from Finisterre to Ushant. The AIS showed them in bunches and provided useful info on the potential of collision courses but more interesting to the crew was knowing the name of the vessel and its destination! One enormous 126m trawler was heading to Montevideo. Every ship that had to, altered course for us, which must be something of a record and proved that their watchkeepers were watching AIS and radar. It was another amazingly starry night with the moon rising very late like a golden galleon coming up over the low clouds on the horizon; it was in its last quarter. Susie thought she saw a whale spout in the distance soon after dawn and with the wind easing down from its overnight peak of F5 gusting 6 the sea became flatter. Mid-morning the mainsail was raised again, easy now the Skipper had spent the previous day sorting out the Lazy Jacks that had long languished at the mast (it was probably five years since we last had them in place). Lazy Jacks are long lengths of “string” that hang from high up on the mast and reach out like crows feet to points along either side of the boom to form a cradle into which the mainsail can quickly be dropped without the need for crew to be on deck folding it. 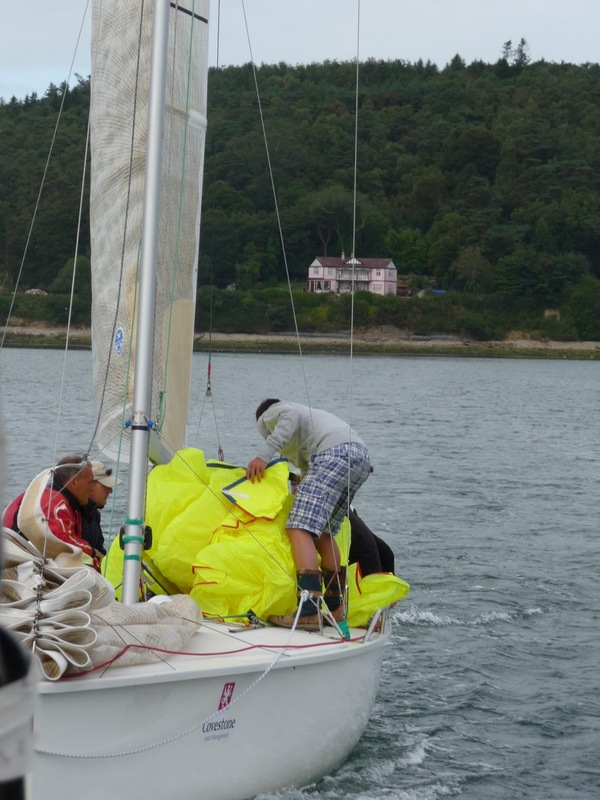 Our latest mainsail is now used enough to squash down into a neat pile that can be swiftly tied in place. Kevin has got them sorted so we could drop the sail quickly if need be during the night as there would only be one of us on watch. 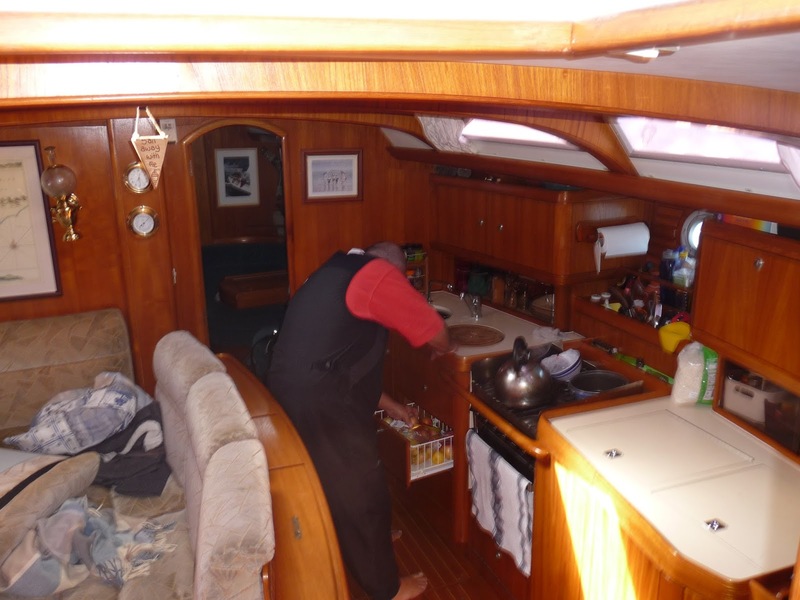 After lunch the wind died away to almost nothing so the engine was on once more and with the watermaker running the entire crew treated themselves to luxurious hot showers not worrying too much about being careful with water usage! Clean bodies, clean hair and clean teeth, Temptress was a much more pleasant place to be! Supper got delayed by our first sighting of Pilot Whales and yet more statistical discussions as we reached 500 nm since leaving Cork. All three of us sat in the cockpit watching the trip log flock through from 499 to 500. Little things! Susie completed her second novel and realised that the reason she felt a bit queasy was probably due to reading in the rolly conditions. 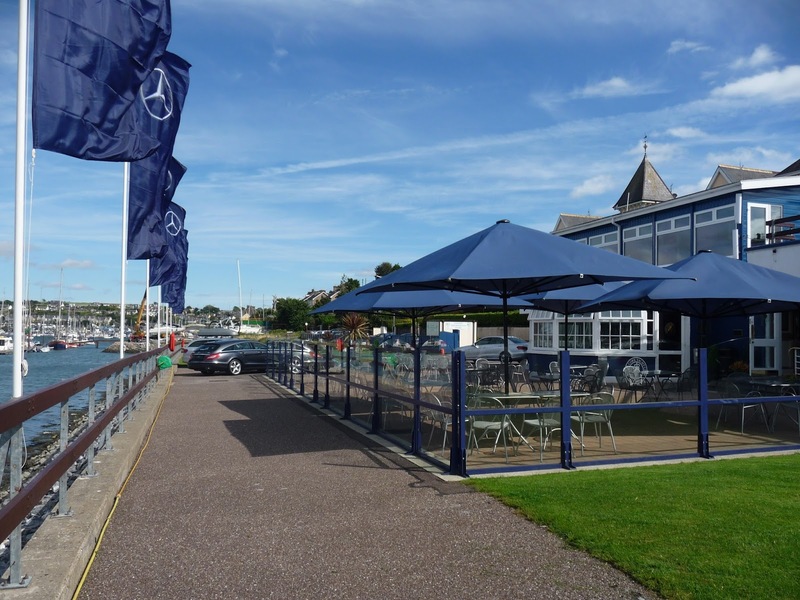 The Bay Restaurant served up its final evening meal of Moroccan Lamb, much enjoyed by all. More pilot whales including a baby only a few feet long and a sighting of two minke fortunately the latter were a few hundred metres away rounded off our evening. We were now well into the ITZ off Finisterre, then as the first watch Joe got settled into his spell fog descended. With Kevin up again (he’d taken the first watch) as well and the radar on Temptress motored cautiously south through the pea-souper. At 1 am Susie relieved Kevin. Not only were there fishing boats on the AIS there were also dots on the radar both inshore and out to sea of us, we guessed smaller fishing boats moving erratically as ever. The fog cleared as suddenly as it had descended, the light of Finisterre flashing once every five seconds and the street lights of the towns and villages becoming clear. Another starry, almost moonless night. The glow of Vigo making the sky orange to the south east of us. Joe headed off to his bunk whilst Susie sat for another two hours watching the fishing boats but none came close. 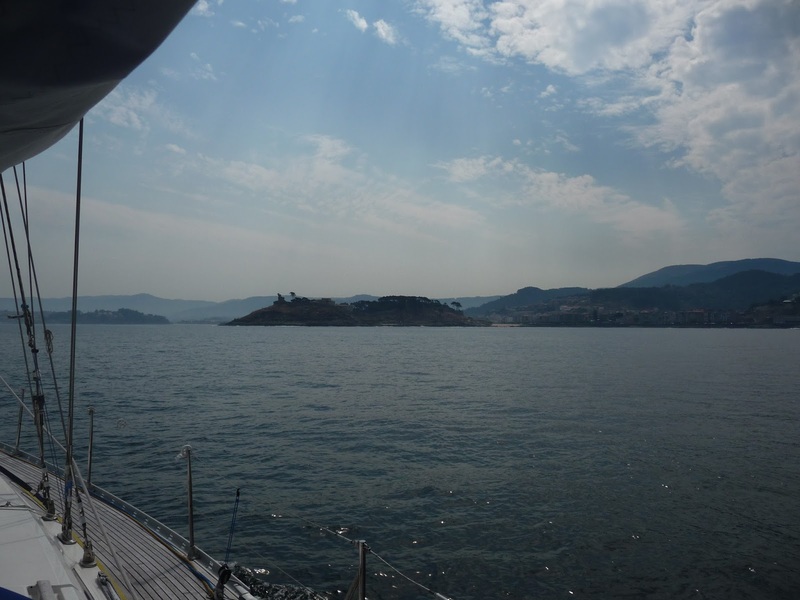 Shortly after 3am Temptress altered course for the entrance of the Canal De Sud, the channel through the rocks off Baiona, we’d reached the end of the ITZ and had motored or sailed 560 nautical miles so far. We reckoned we’d be tied in time for lunch on Wednesday. 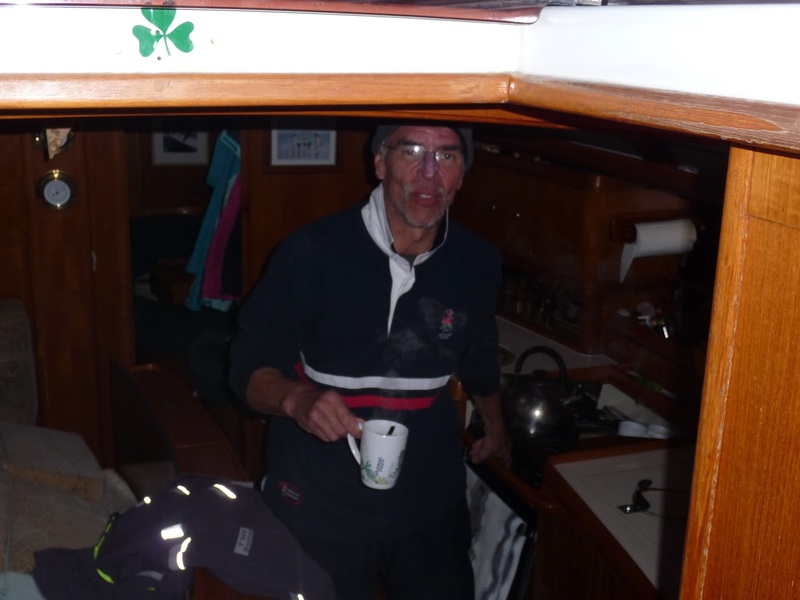 One last breakfast from the Bay Restaurant, Joe served up sausage, egg and bacon and we had around 20 nm to go. 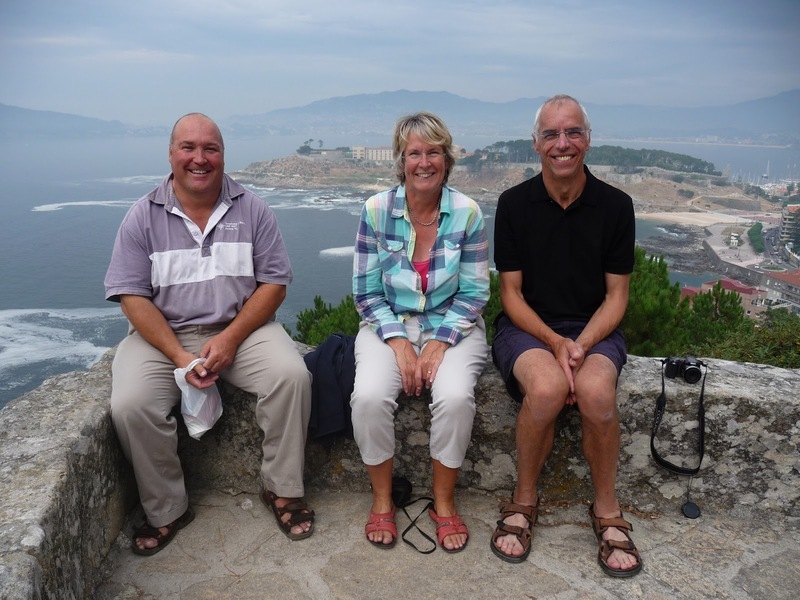 The high rocky islas with their pine trees and sandy beaches that occupy the entrance to the vast Rio of Vigo were now abeam of us in the warm morning sunshine, shorts and t-shirts anyone? Finally the entire crew felt they’d reached the sun. Temptress was covered in salt from all the seas she’d taken on board. After a bit of a kerfuffle with pickup lines a yacht club marinero helped us moor stern to the pontoon in the MRYC marina. It was just after noon so after a quick shower all three of us headed via the office (to register our presence, passport numbers, DOBs and boat registration details required), into town in search of lunch. A huge paella ensured we would not want to eat for the rest of the day! 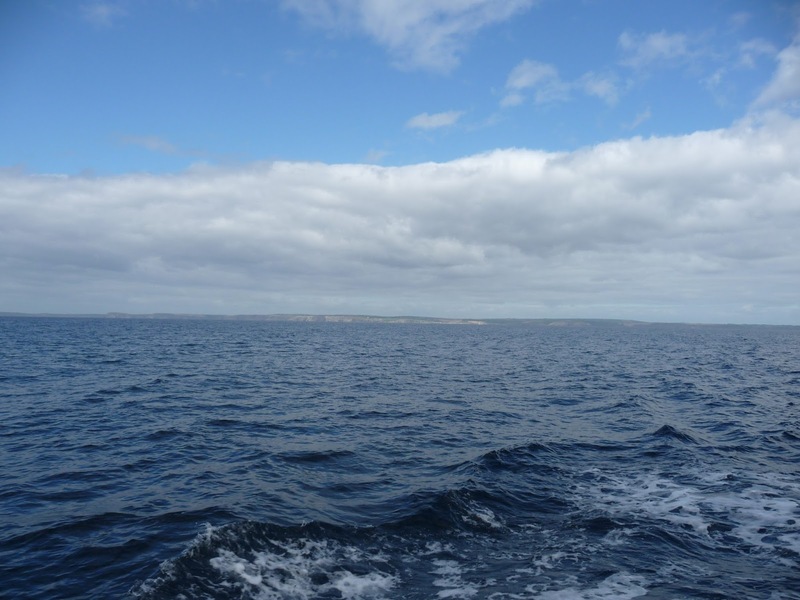 NB: We managed to cover 596 nautical miles over the ground on passage but some 30 miles more through the water – not very efficient use of the tides and currents!